“Getting healthy” is on a lot of people’s minds this time of year, and many resolutions and goals revolve around the food we eat. And for good reason! But there’s more to a healthy life than what we’re feeding our physical bodies. And these things need just as much attention and focus. 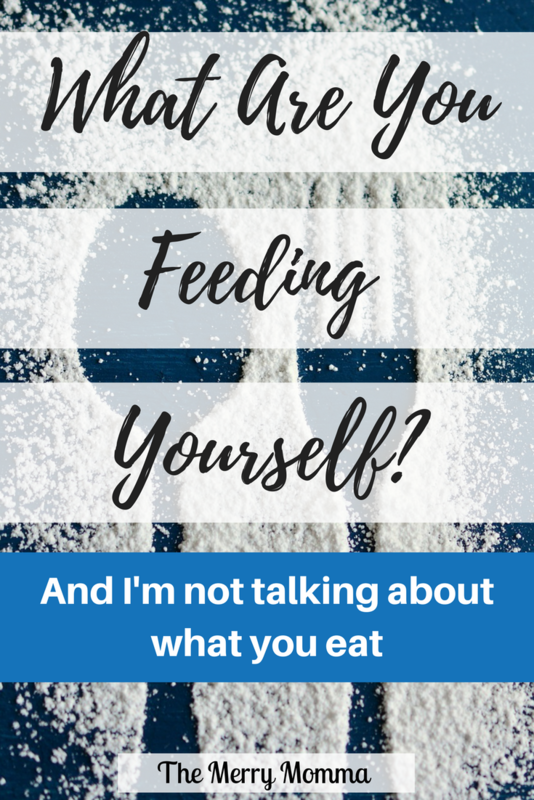 So, what are you feeding yourself? Everywhere you turn right now, people are talking about one thing more than anything else — getting healthy. (I even wrote a post on the best ways to “get healthy” in 2018 myself last week.) And much of the focus is on paying attention to the food that we eat. There’s nothing wrong with being intentional about what we eat. In fact, it’s a very good thing! Our bodies are temples of the Holy Spirit and should be properly maintained in order to carry out God’s purposes with excellence. It’s part of the reason why I have committed to a (mostly) real food diet for myself and my family. But I have to wonder sometimes — are we as careful about guarding what we put in our minds, souls, and spirits as we are about what we put in our bodies? What we feed ourselves mentally, emotionally, and spiritually is just as important as what we feed ourselves physically, and it demands just as much care and intention. I’ve been thinking about this a lot lately, and I’ve been paying more attention to what I’m feeding myself – all of myself. 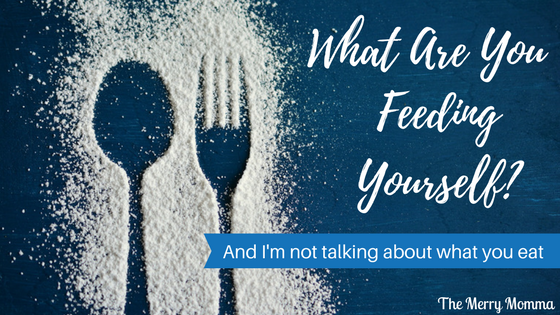 Join me as I take a look at the different areas that need nourishment, and consider what you’ve been feeding yourself as we go. What have you been putting into your mind lately? Are you intentional about the quality of your “brain food?” Are you careful about what kinds of things you’re regularly feeding on, or do you simply ingest whatever comes your way? Do you spend much time or thought on training, expanding, or challenging your mind? Though anatomically speaking the brain is not a muscle, it still needs to be exercised like one. If not used regularly, it will begin to atrophy. And if used poorly, it will cause damage to the rest of your body. Reading has enormous benefits for your brain. This is especially true when reading books that will teach, inspire, or challenge you, but reading for entertainment is good for you as well. Read this post for more about why it’s important to read on a regular basis. I’m addicted to podcasts. I don’t have hours to sit down and read every day (I wish! ), but I can often find lots of opportunities to listen to podcasts throughout the day. Doing laundry or other household chores, getting ready in the morning, and driving to work are all great chunks of time for me to fit in a few podcasts each day. If you are what you eat in a physical sense, then you are who you surround yourself with in a mental sense. I have definitely noticed that I am quickly influenced by people that I spend a lot of time with. Part of that is my personality, I think, but part of it is natural — what we feed on regularly affects us and becomes who we are. Knowing that, I have tried to be careful about the people and influences I allow into my eyes and ears on a regular basis. WHAT ARE YOU FEEDING YOUR SOUL? I have to be honest here — I’m not completely sure what the “soul” encompasses, exactly. I’m sure there’s a theological definition, but I don’t have it. So I’m not claiming to use this term in any kind of precise meaning, but rather as a way to express the part of us that helps us feel alive. That brings us comfort, joy, and fulfillment. That speaks to the very essence of who we are and what we want to become. So, what are you feeding that part of you? What are you doing to nourish your soul? Do you take time to feed it, or do you neglect it because doing something for yourself feels selfish or wasteful? As moms, we can easily become so focused on everyone else’s needs that we neglect our own. But we can’t pour out of proverbial empty cups, and that’s as much true for the tending of souls that we do as the physical needs that we address. Your soul needs to be fed, too. And it will help you better create an atmosphere of love, joy, and comfort in your home. Regularly taking time to do something I love is one of the best things I can do for myself. Not only does it feed my soul, but it recharges my energy level and fills my joy bank, as well. When I take even just a little time each day to read, cook, or write, I feel more ready to be my best self. Some weeks are really busy with commitments, appointments, and things to do. But I always try to balance those things with plenty of time spent enjoying my family. I’m an extrovert, so after being at home for a while, I just really need to be around some people. Knowing this, it’s good for me to do what I need to do to get out of the house and find civilization. If you’re an introvert, you’re probably the exact opposite, and you should do what you need to do to get the times of solitude you need. Last but not least is the spirit. This is, in my opinion, the most important consideration of them all. What are you feeding your spirit? What investments are you making in your relationship with God? What steps are you taking to nourish that connection and create a hospitable environment for the Holy Spirit to live and lead? Do you give this much thought? Are you as intentional about what you put in your spirit as you are about what you put in your body? You should be even more careful. Though our bodies do matter and should be treated with respect, they are temporary. Our spirits are eternal. Our spirit food matters. Daily Bible reading & devotions. I can’t stress enough the importance of my daily morning quiet time. I guard this with my life because, frankly, my life depends on it. I know my spirit certainly does. Depending on the day, I will spend anywhere from 30 minutes to an hour reading my Bible, praying, possibly journaling, and reading an inspirational book. Next to time spent in God’s Word, worship is the best way to feed my spirit. This includes attending church, being taught by our pastor, and worshipping collectively with my church family. But it also includes private worship at home, through music, prayer, and gratitude. I love feasting on the wisdom of godly men and women. Of course, no human’s words can replace the Gospel, but I have learned and grown so much from the people I have read and followed.Check out my Top 10 Favorite Books from 2017 for recommendations! As we’ve entered a new year with new hopes and new possibilities, perhaps you’ve set goals for the improvement of your physical body. Maybe you want to drink more water, reduce your intake of processed foods, or get more rest. All those things are good (and necessary for healthy living). But what about your mental health? Your emotional health? Your spiritual health? Just as the body is only as good as the food we give it, so our minds, souls, and spirits are only as good as what we feed them. Take some time today to consider what you’re feeding your mind, soul, and spirit, and make a list like I did of things that you do (or could do) to improve your “diet” in those areas. Then do more of those things. If you enjoyed this post, consider sharing it on Facebook or Pinterest. Let’s help our friends make 2018 their healthiest year yet — mind, soul, spirit, AND body. 9 Gifts to Treat Yourself, Mom!